The ideal shoe is one that looks great and feels fantastic. Juil’s Mesa sandals (which I’ve been wearing for the past few days) certainly do that. 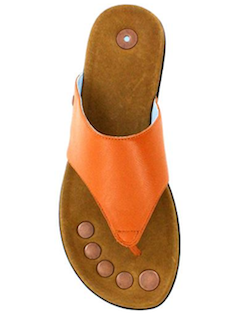 In addition, they’re equipped with copper conductors in the soles designed to enable you to walk your way to better health through better connection to Mother Earth. The copper conductors in Juil shoes are intended to give you the benefits of walking barefoot without giving up the protection and support of shoes. The folks at Juil sent me a pair of Mesa sandals to review, and I can tell you that these are sweet shoes. They run true to size, and are made from high-quality materials (Mesa’s have leather uppers and footbeds, and the company also offers vegan models, such as the Gaia). I like the lightweight cork outsole on the Mesas. My only qualm about fit is that the Mesa footbed is a little narrow in the arch — probably best for someone with high arches. Juil shoes for men and women are available on the Juil.com site and from resellers as diverse as Naturalizer, Planet Shoes, and Amazon. Prices are from $125 to $145 for sandals and from $155 to $165 for clogs. 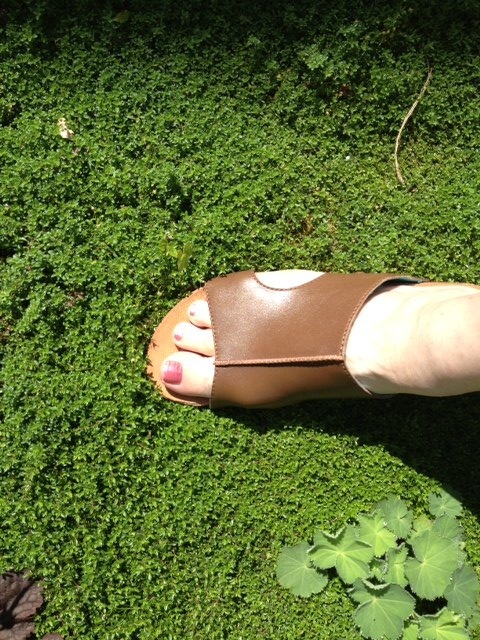 This entry was posted in Fashion, Yoga and tagged earthing, footwear, grounding, Juil, sandals. Bookmark the permalink.